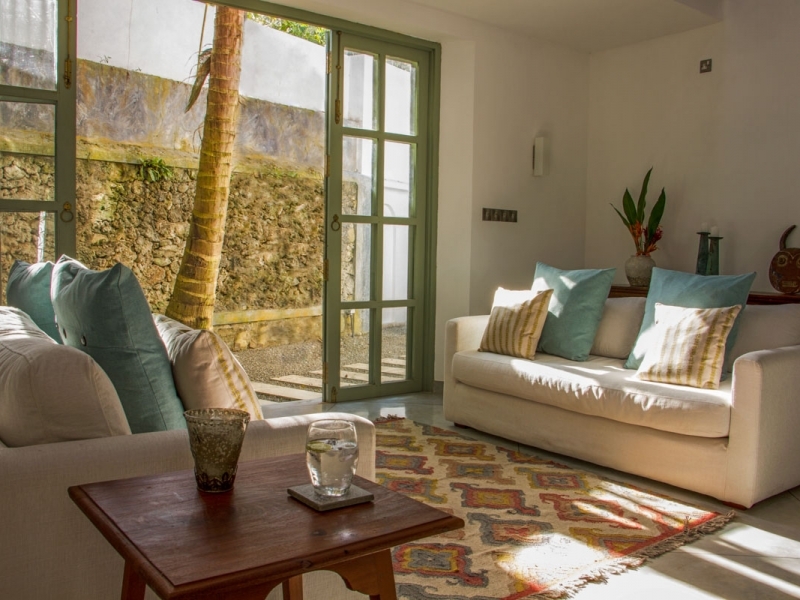 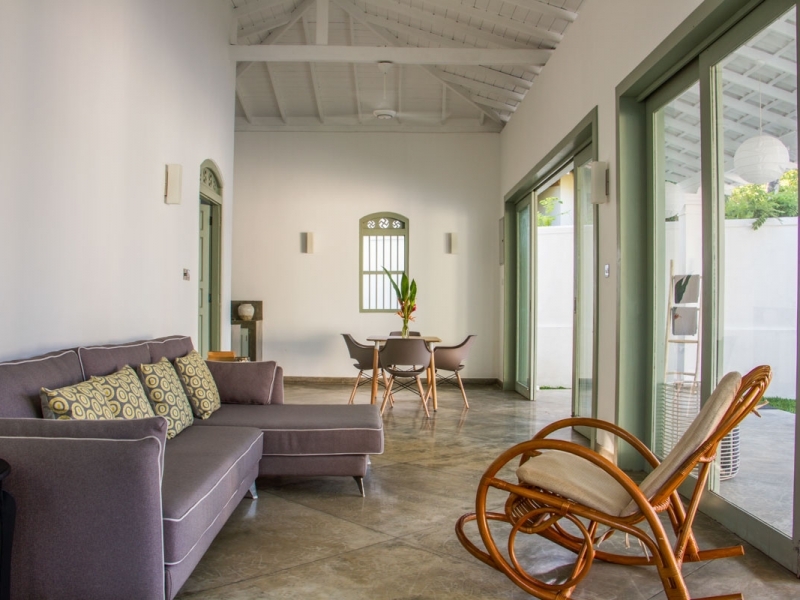 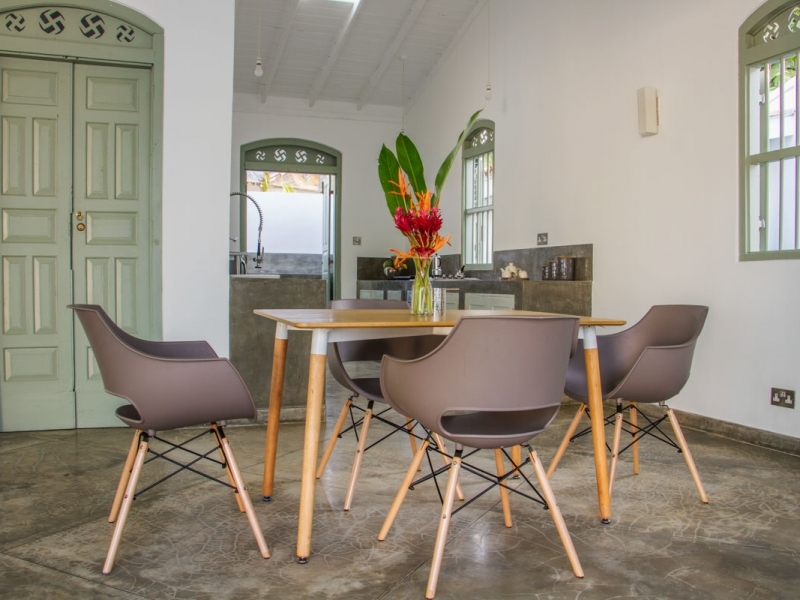 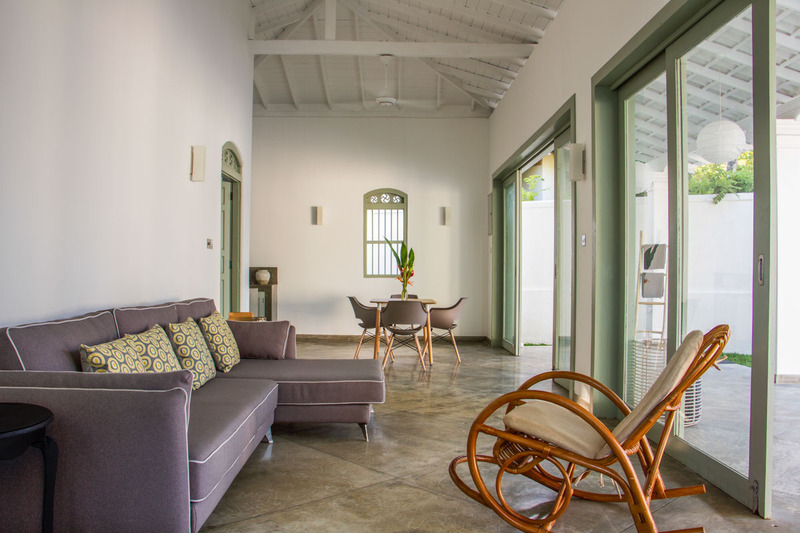 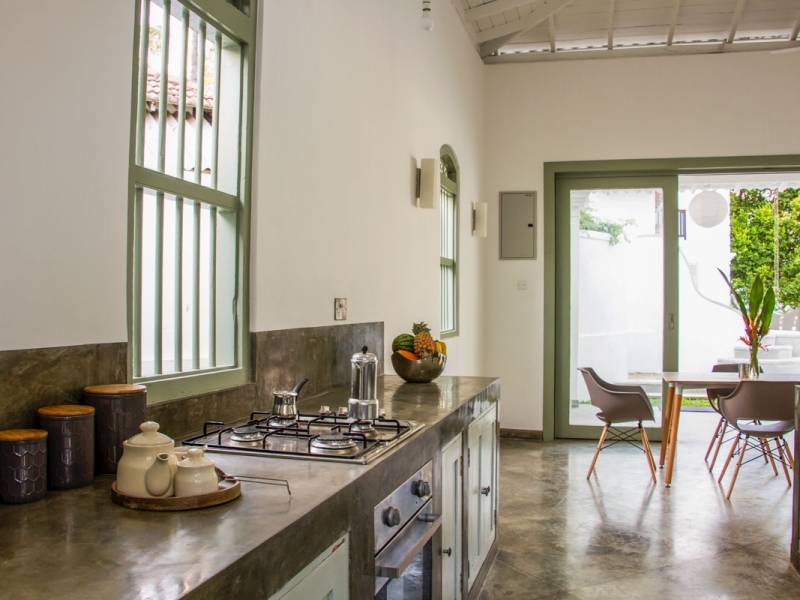 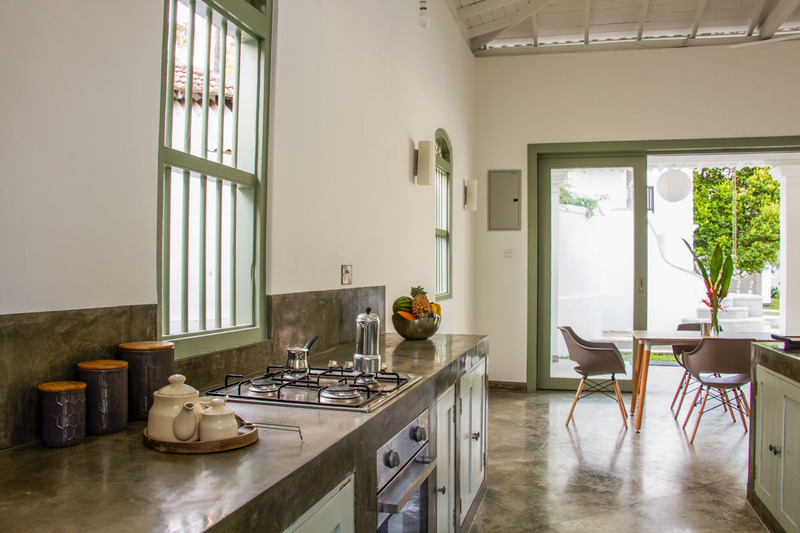 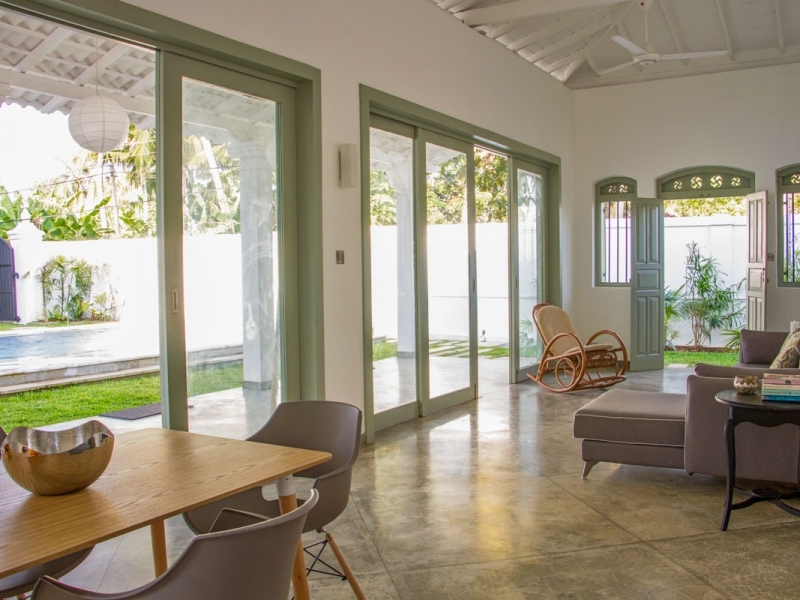 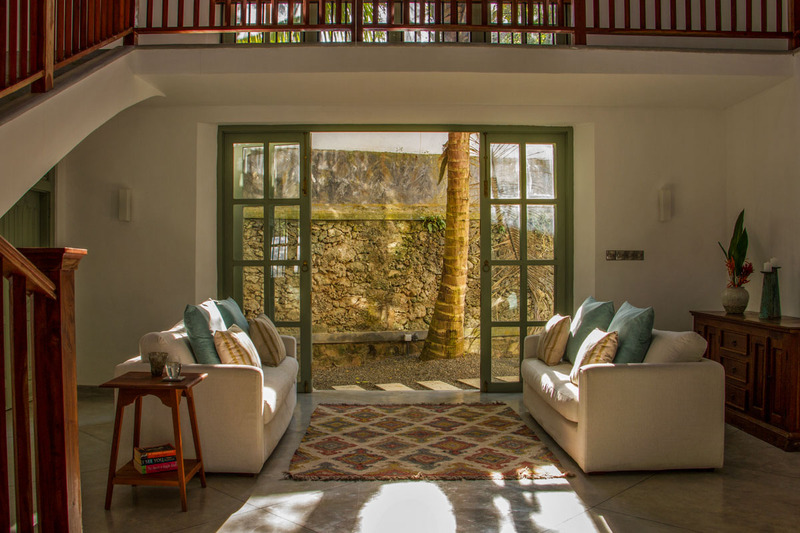 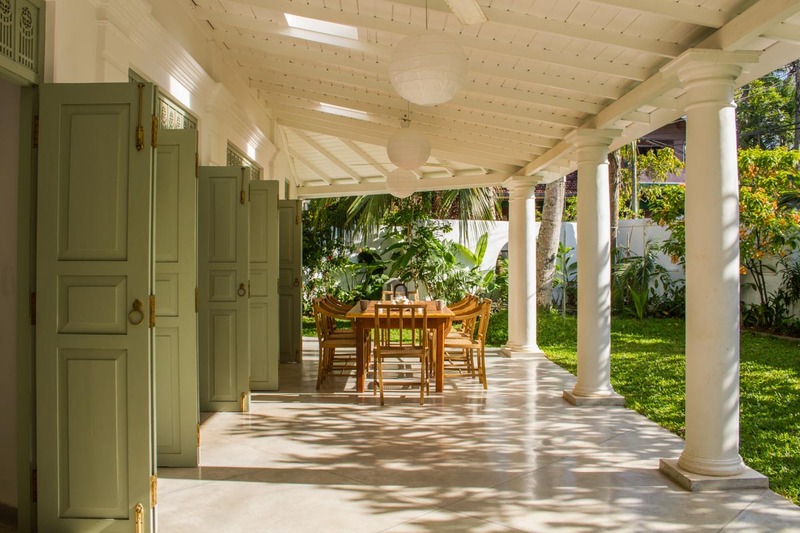 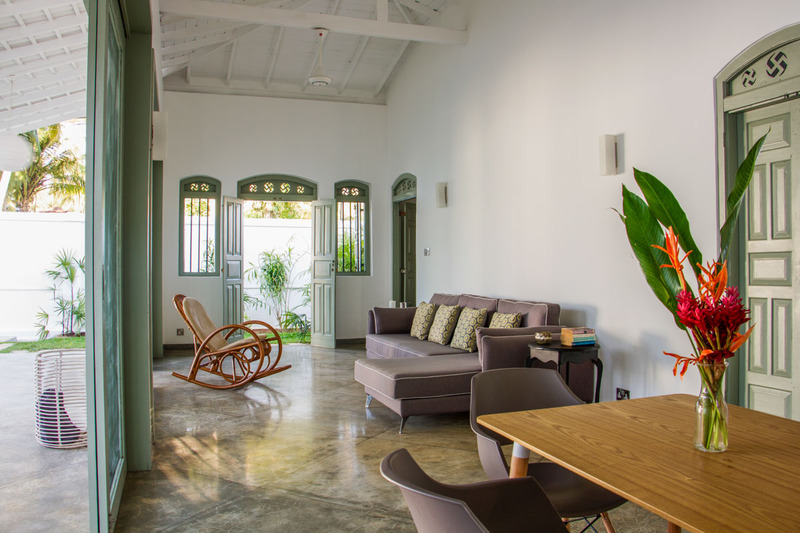 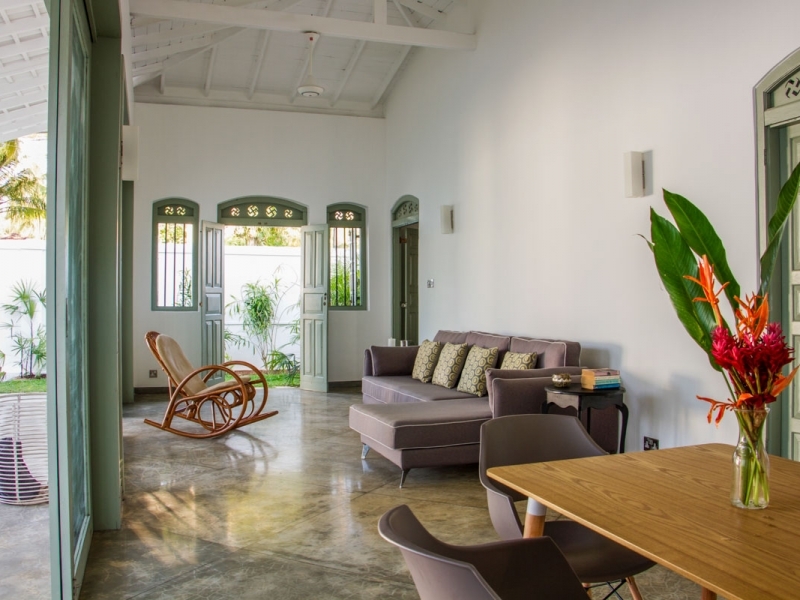 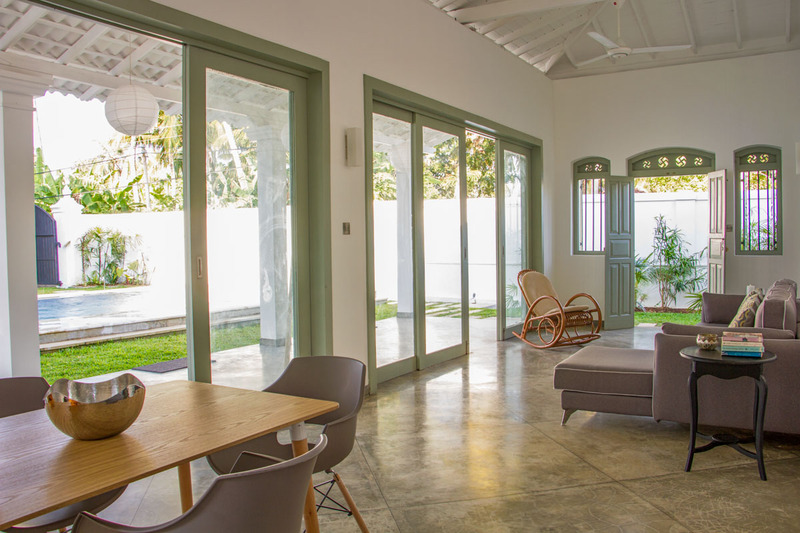 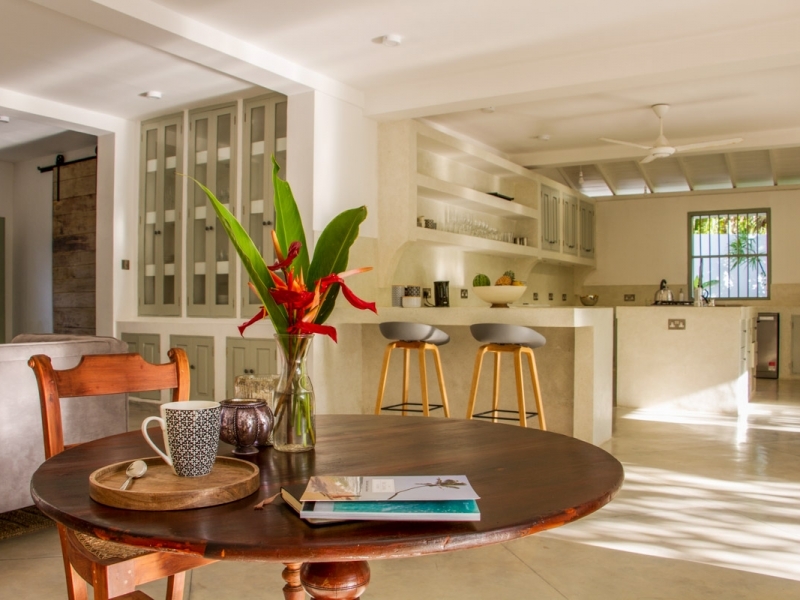 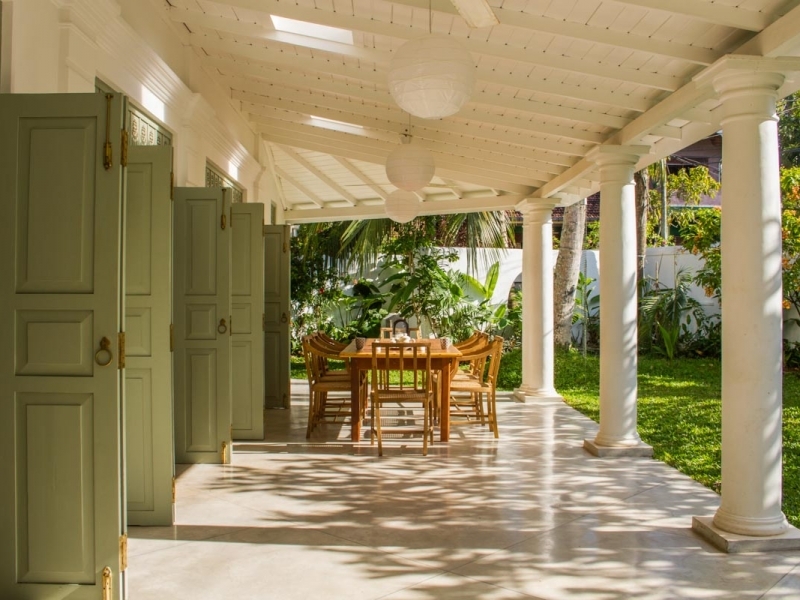 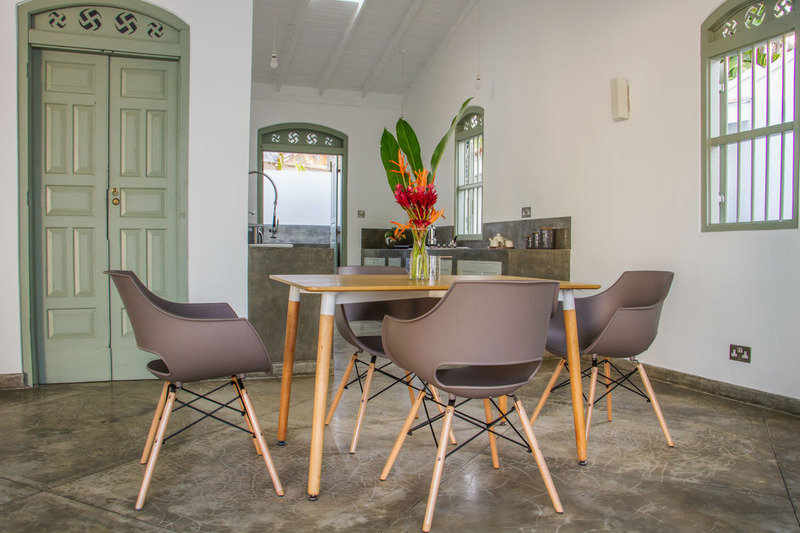 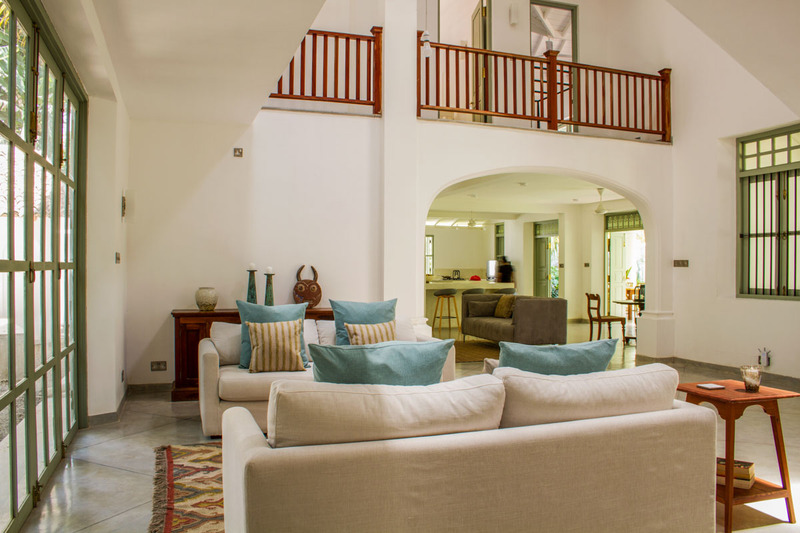 This newly refurbished colonial home is located about 30 minutes from Galle in the coastal town of Ahangama within close proximity to world class surf breaks and Sri Lanka’s famed stilt fisherman. 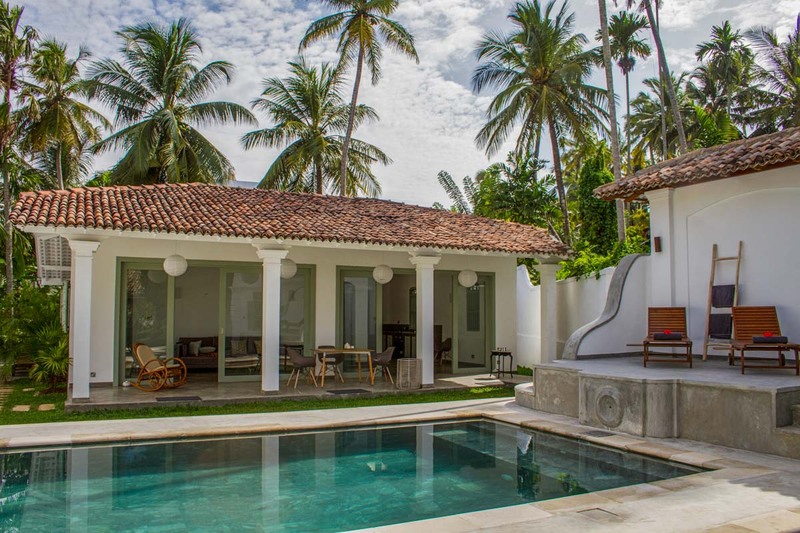 The villa is made up of two buildings. 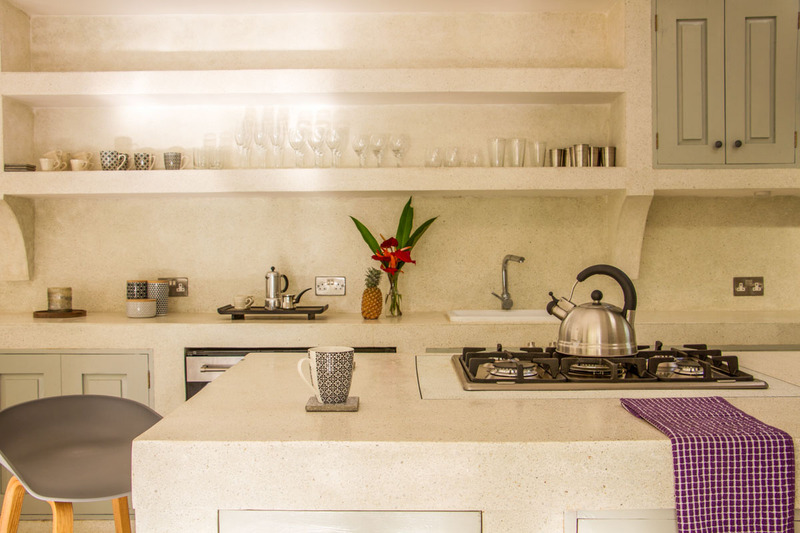 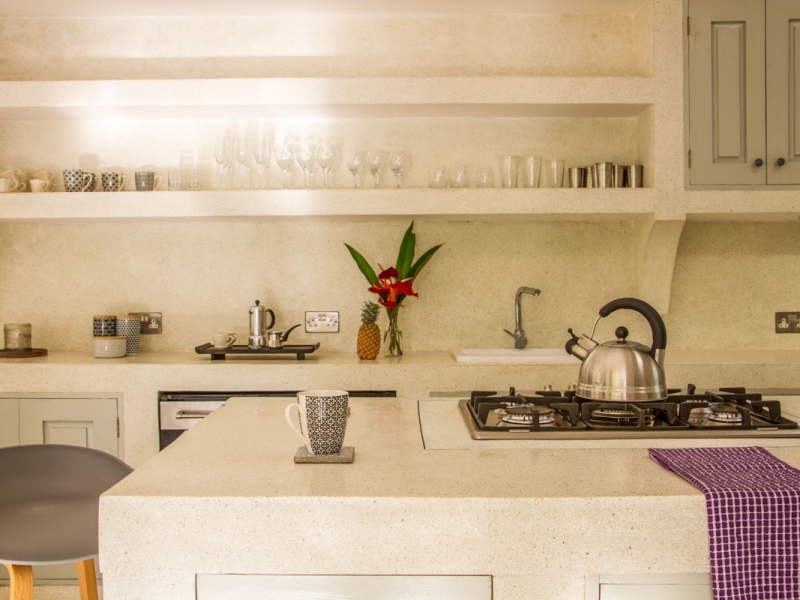 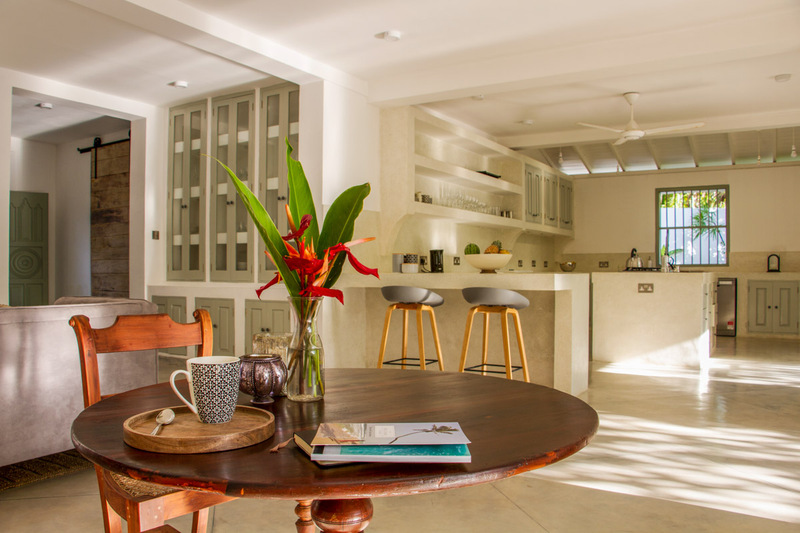 The main house has 4 ensuite bedrooms, open plan sitting and kitchen area, a small separate seating area for the satellite TV and a wide covered terrace where the main dining table is situated. 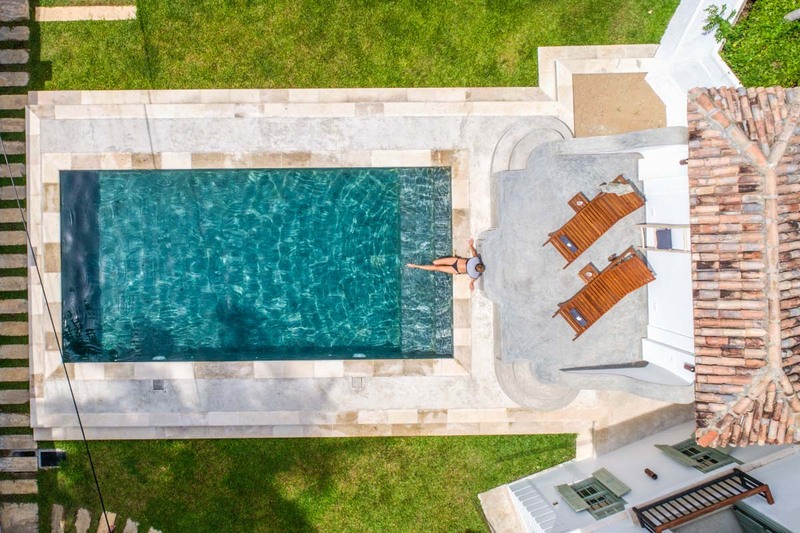 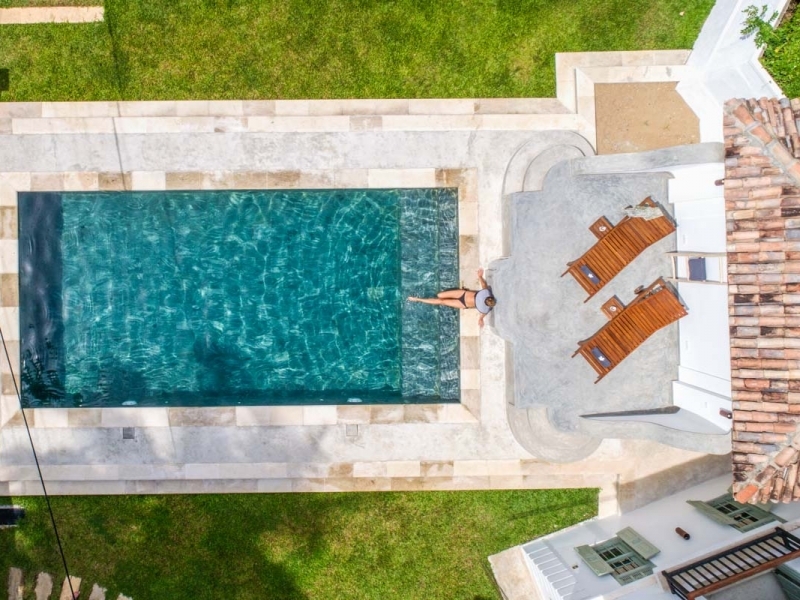 On the other side of the pool, closer to the main entrance, is the second building – the pool house – with a further 2 en-suite bedrooms, small sitting area and galley kitchen. 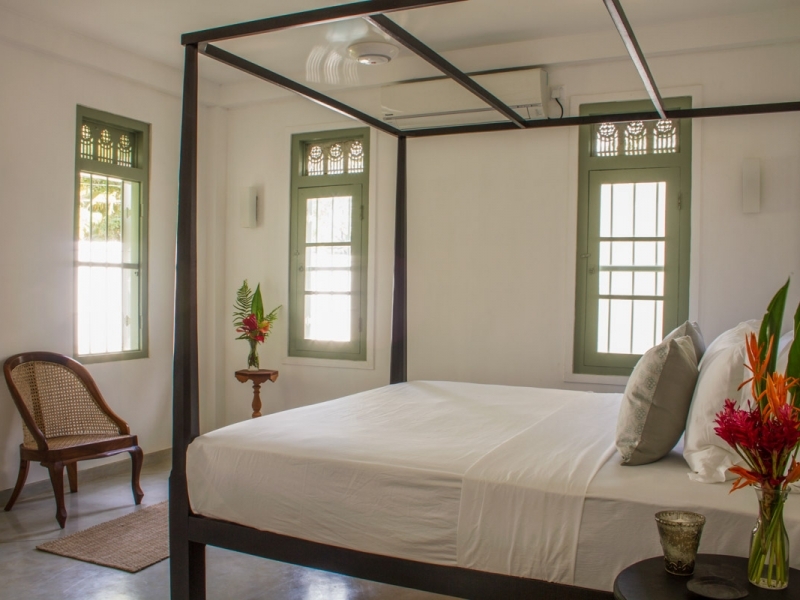 The first bedroom, a double with a bed, is on the ground floor, to the left of the sitting room and looks onto the garden and pool. 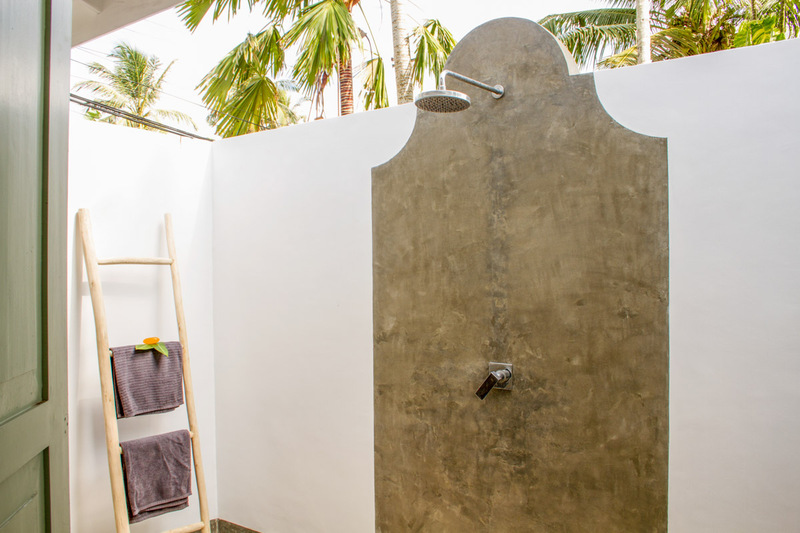 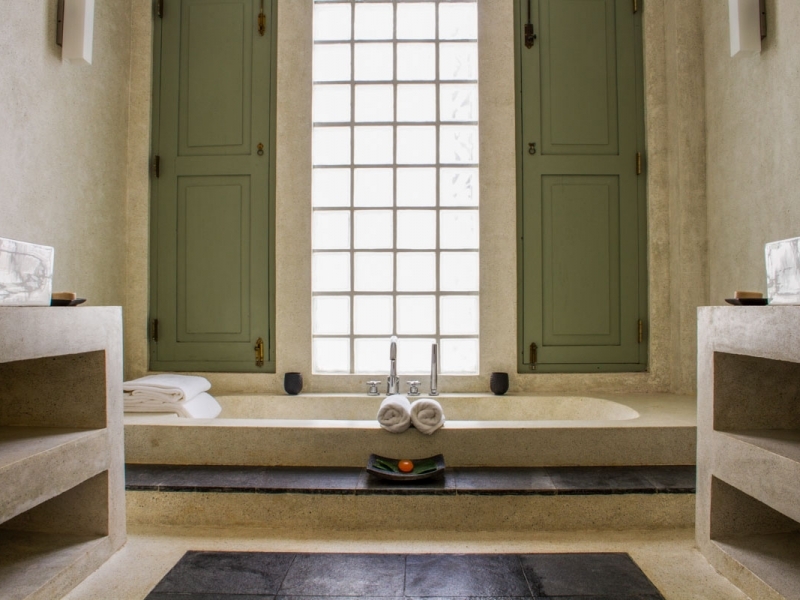 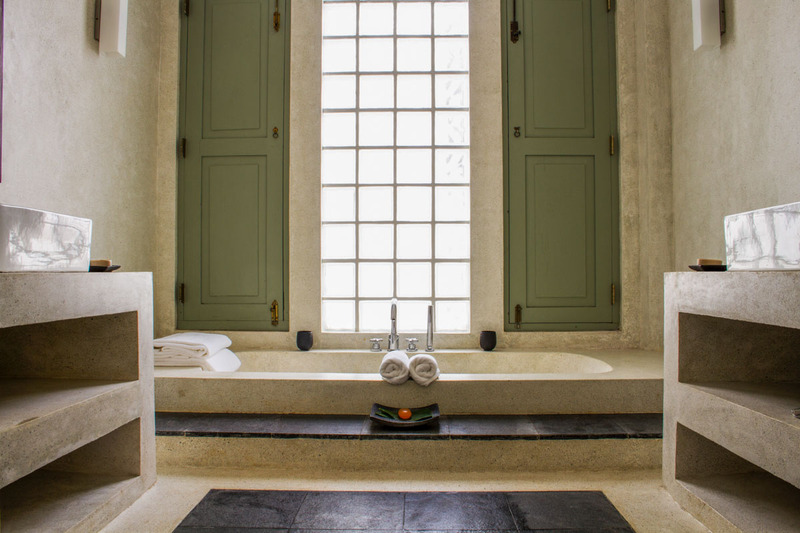 It has an impressive ensuite with sunken bath made from polished cement, a walk-in shower, loo and two basins. 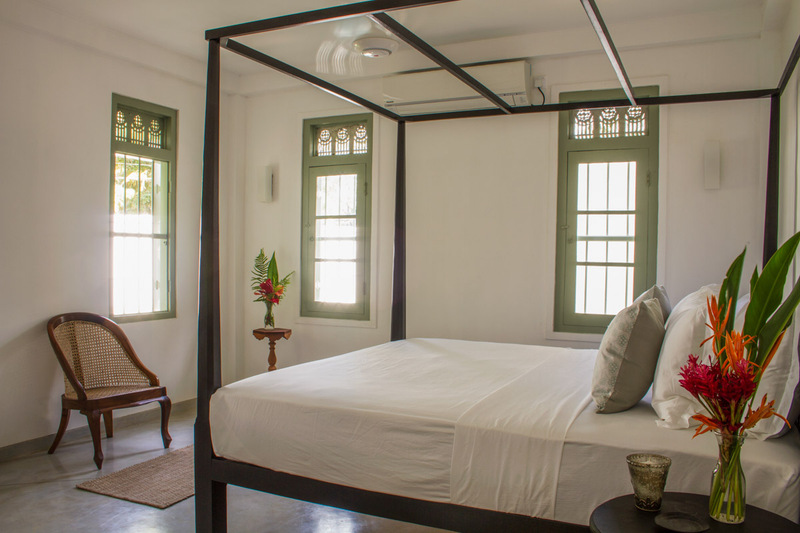 Up the staircase and above this room lies the second double bedroom which in essence is the same, albeit a bit bigger and without the bath. 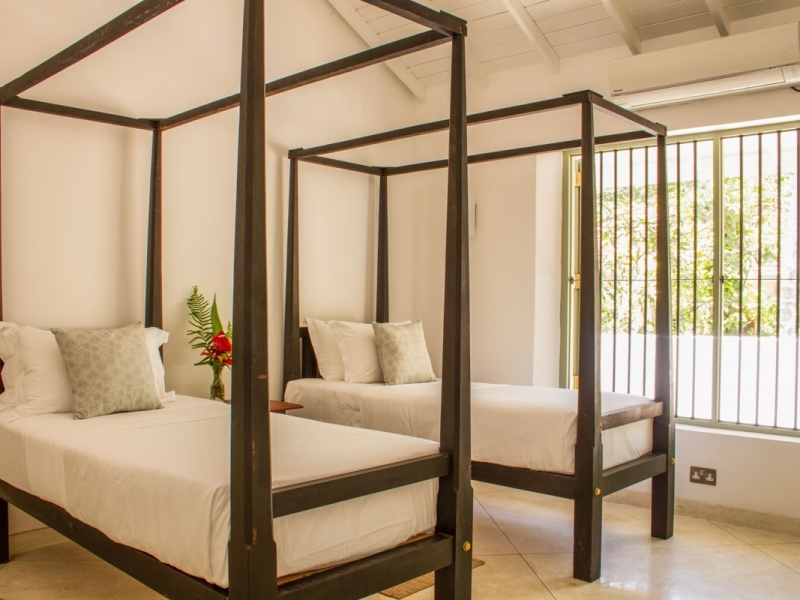 Across the hallway is another twin bedroom with two single beds, a large cot and great space for changing a baby or laying out all of their kit. 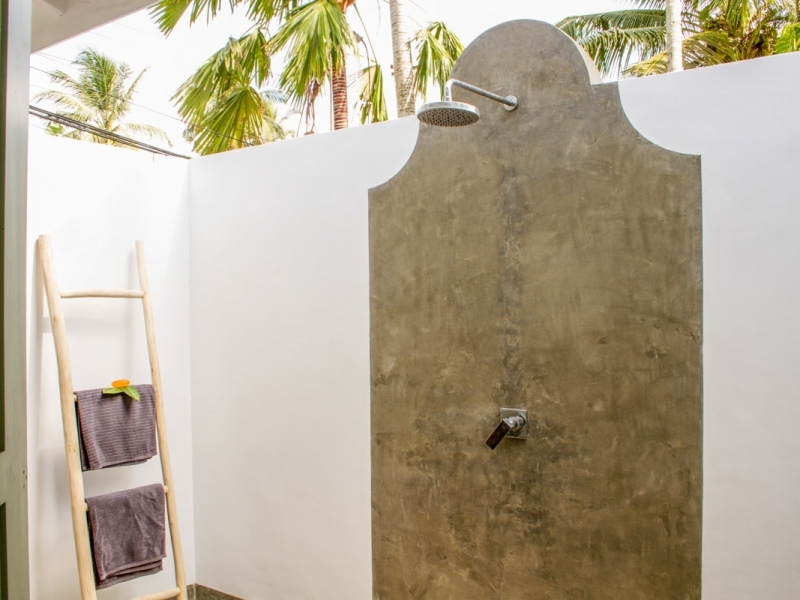 A small ensuite bathroom with a walk-in shower is adjoining. 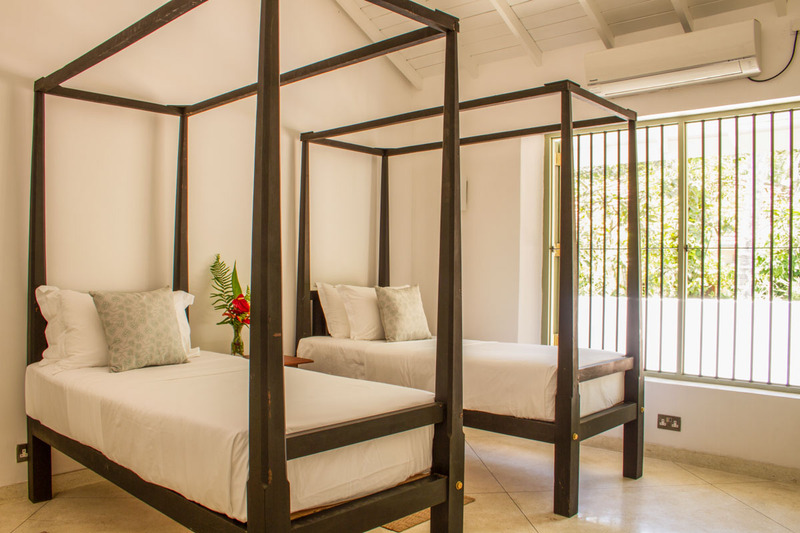 The last bedroom is a generous-sized master suite with king bed, a large sofa, walk-in wardrobe and ensuite bathroom with double walk-in shower, twin vanities and a separate WC. 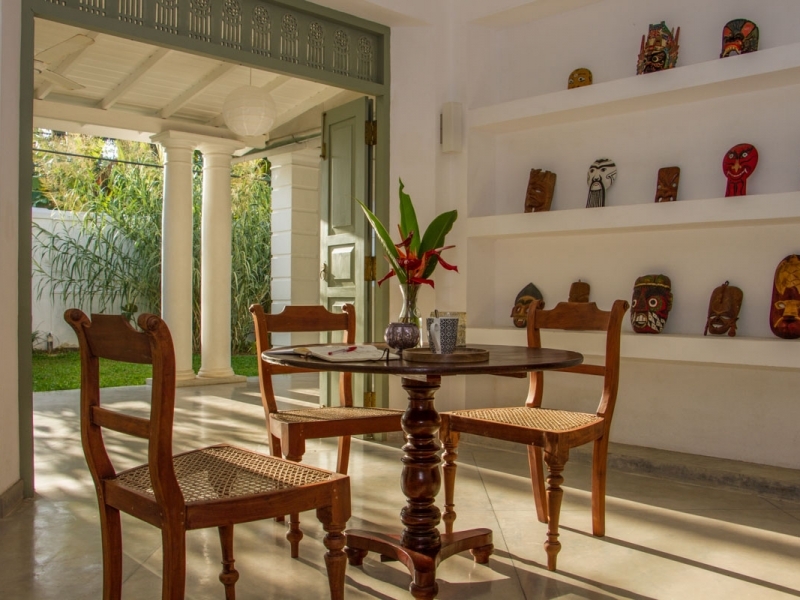 Wijaya Giri is completed by the experienced house manager and house keeper and cook to ensure you have all you need. 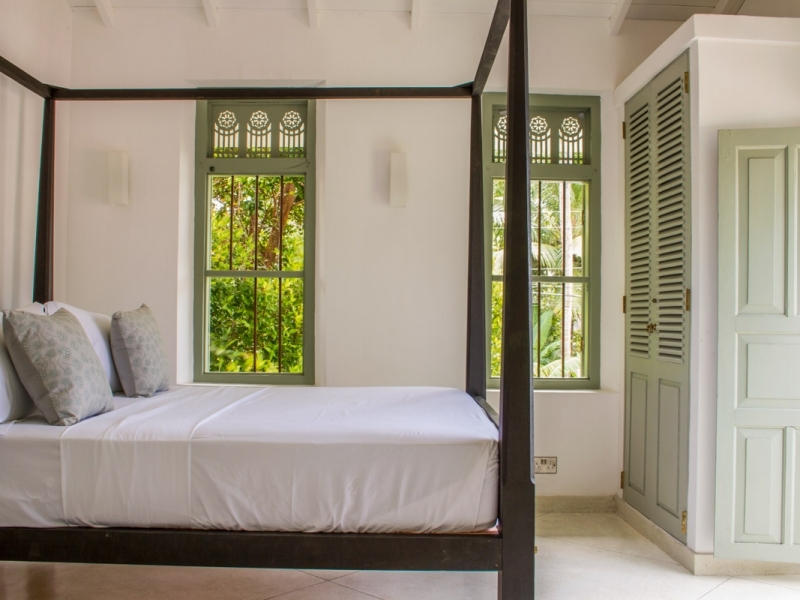 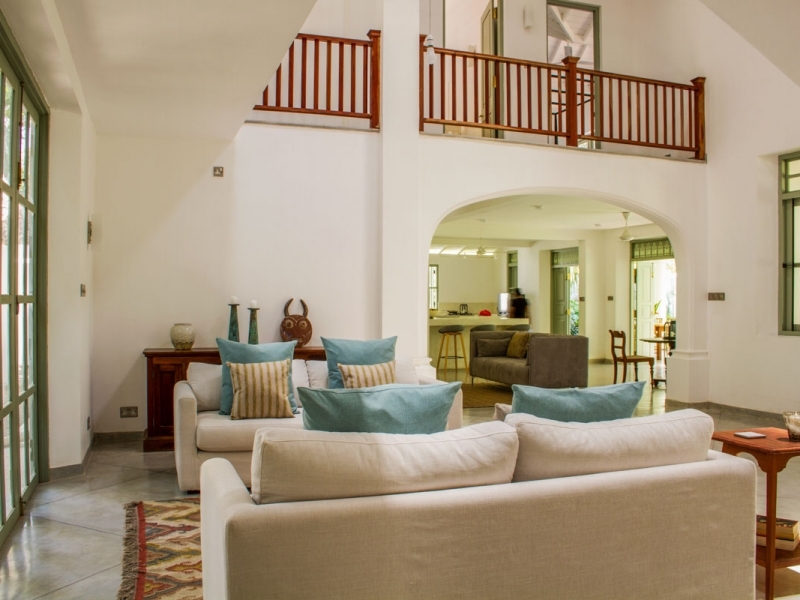 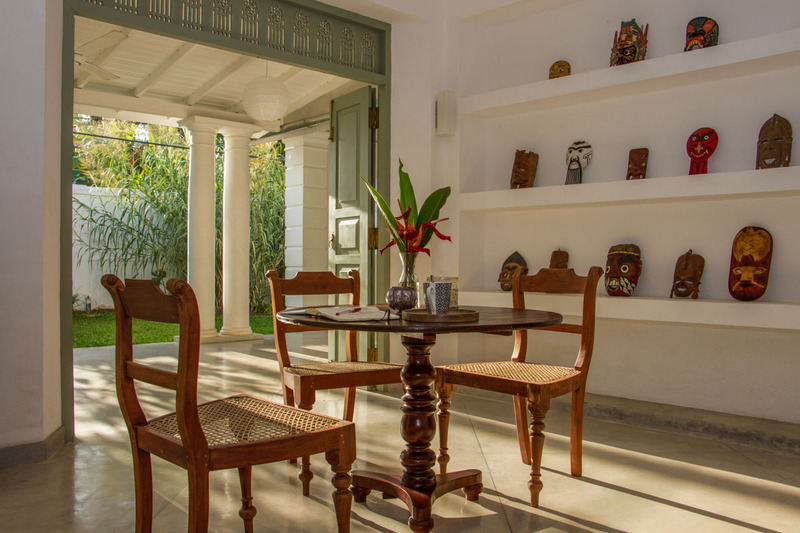 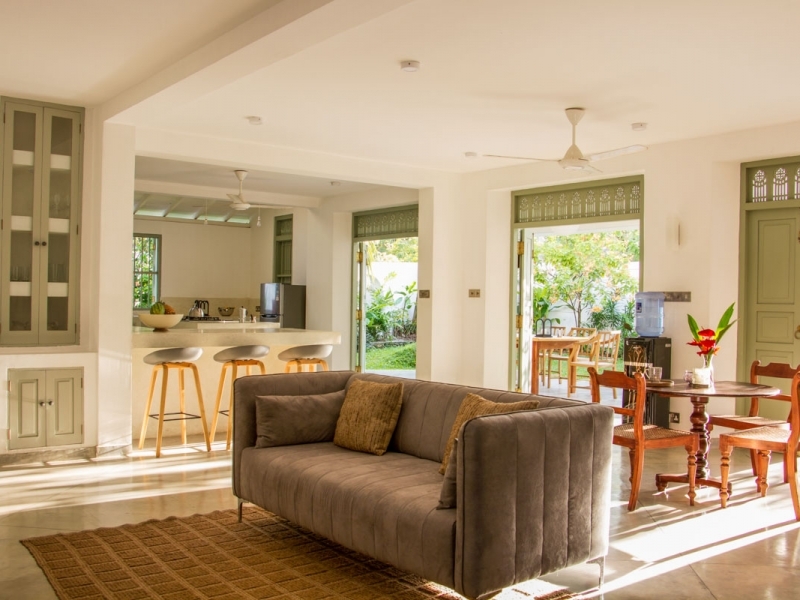 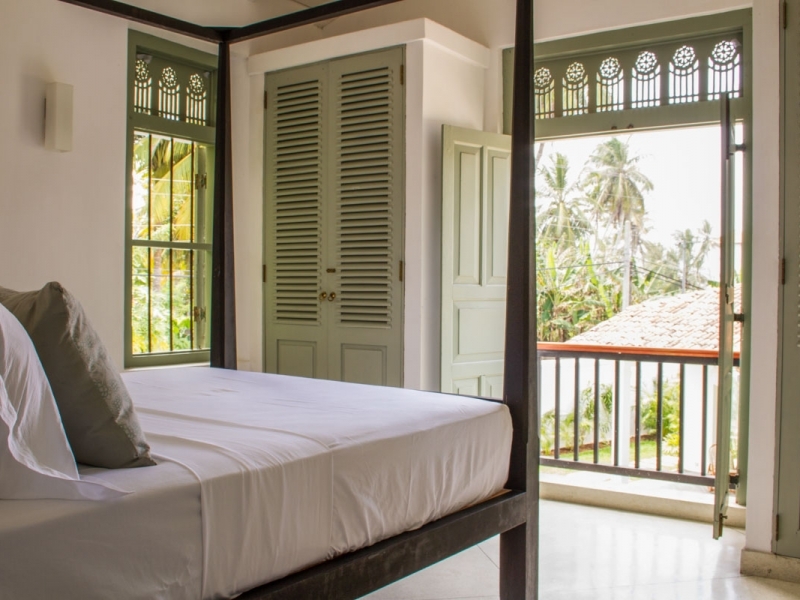 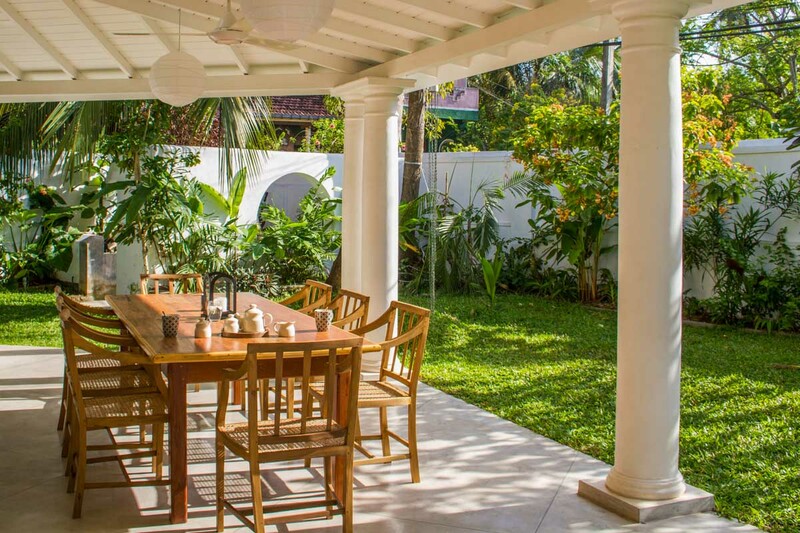 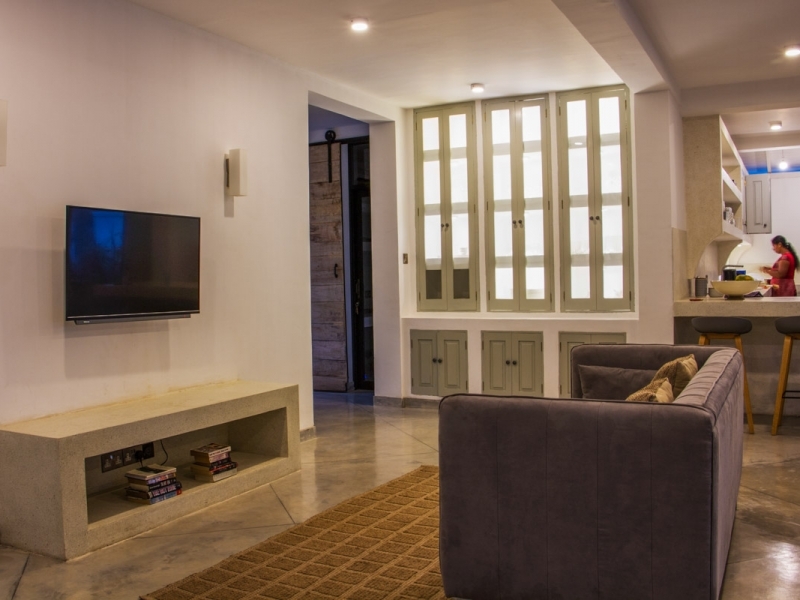 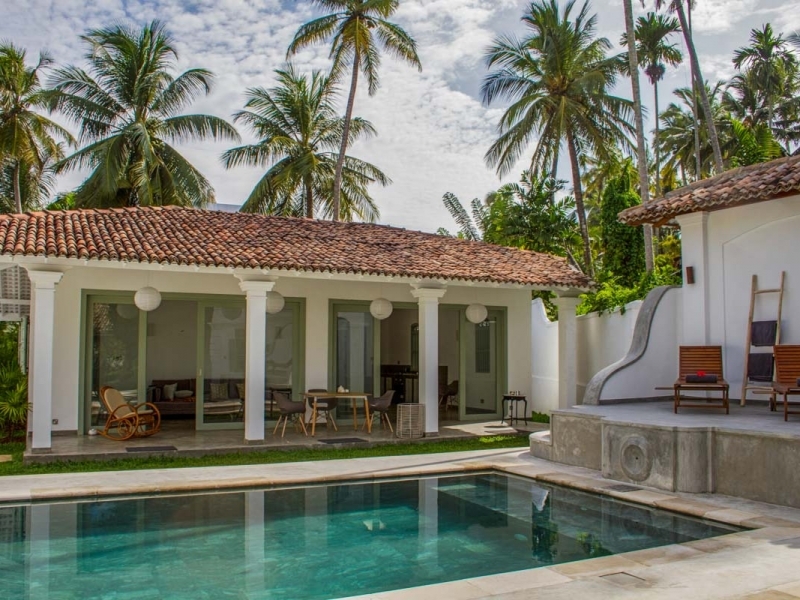 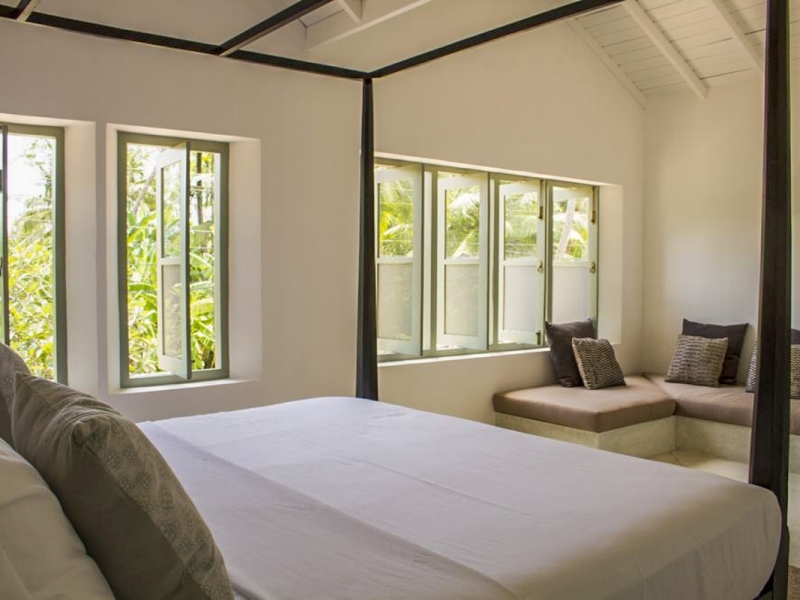 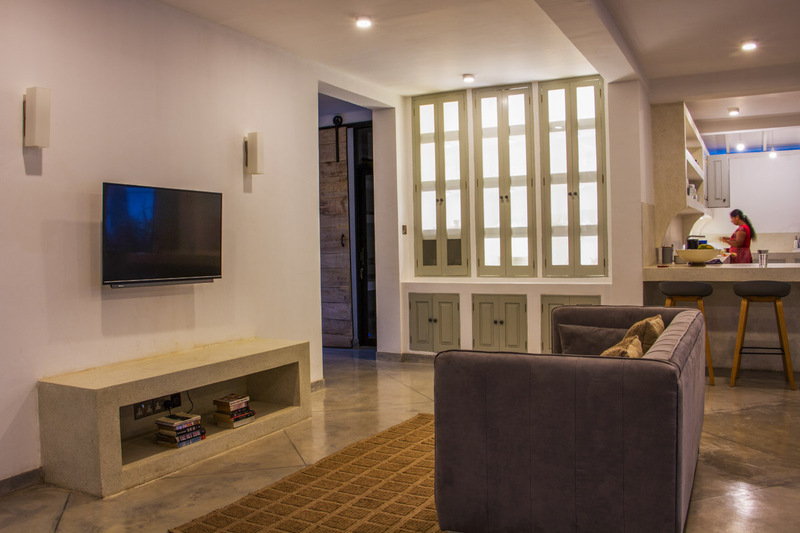 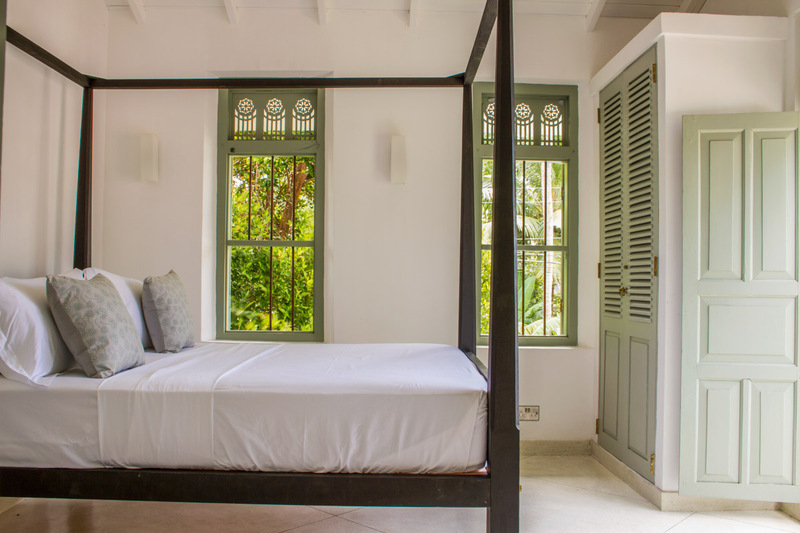 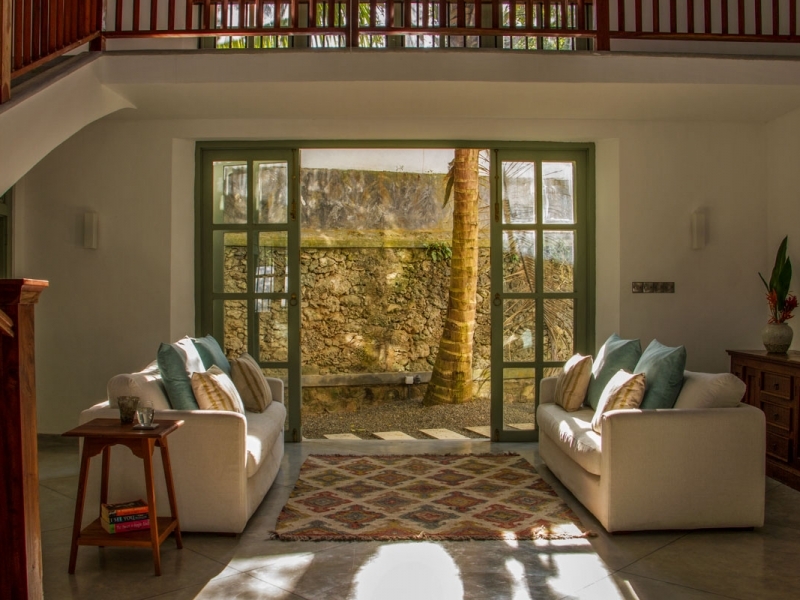 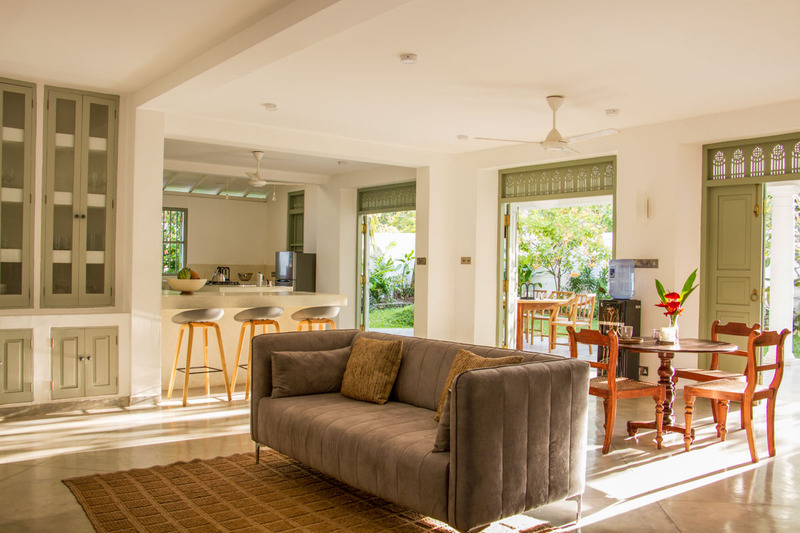 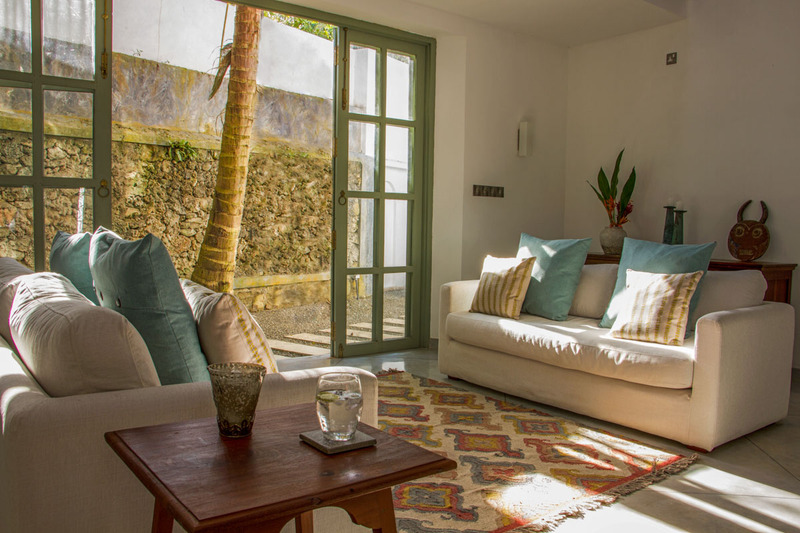 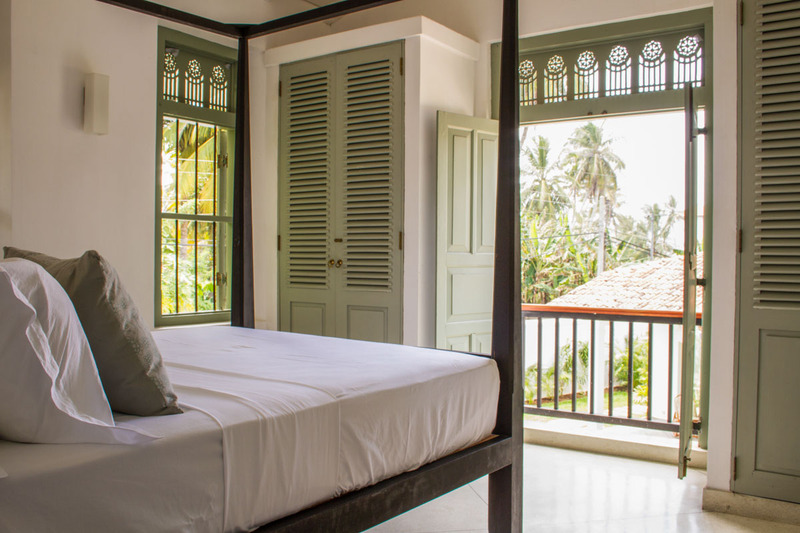 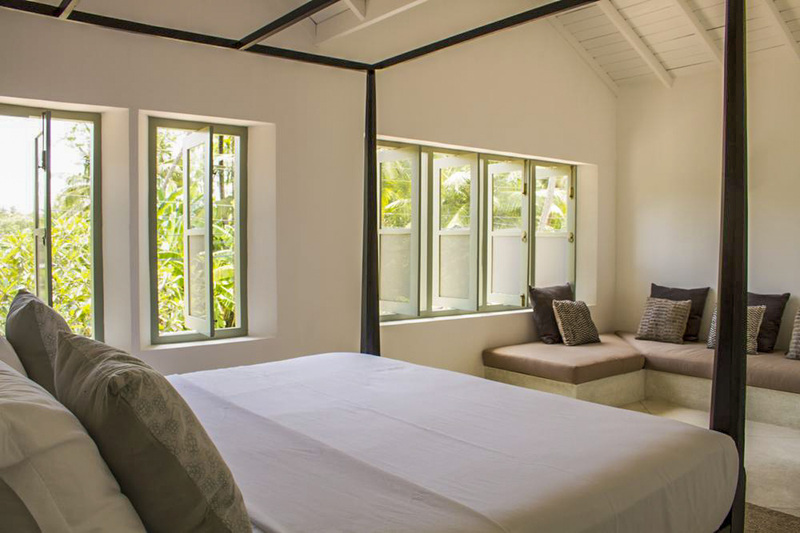 Situated in the coastal town of Ahangama, the villa is in easy reach of 3 great surf beaches, Sri Lanka’s famous stilt fisherman and Galle Fort. 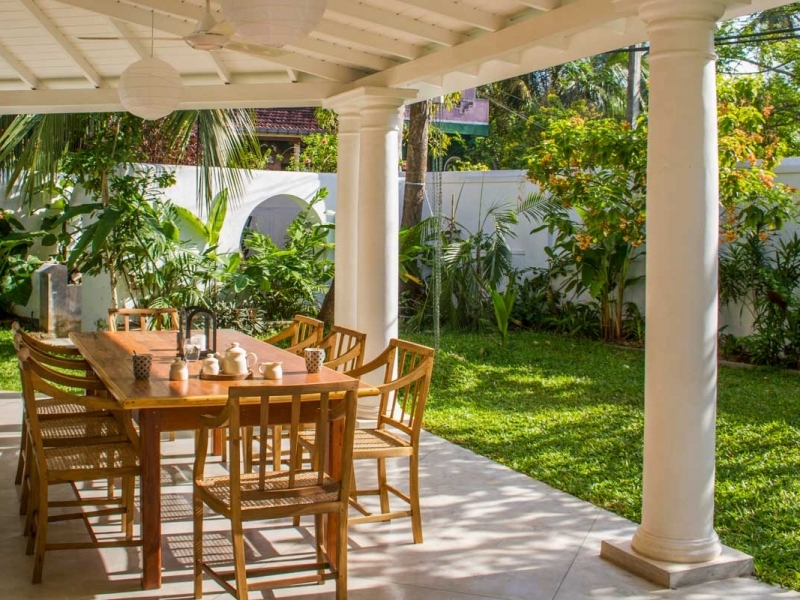 A short distance to Ahangama, Midigama, Kabbalana, Weligama and Mirissa – make Wijaya Giri an excellent base for keen surfers as well as those looking to see whales and dolphins, the stilt fishermen or take a boat trip on Koggala Lake.